What is the best Korean dish to cool you down and at the same boost your energy as well in this glorious season? We at SURA Korean BBQ Restaurant would say it’s Samgye–tang (养生滋补童子鸡汤)! Samgye–tang is a traditional Korean dish, which is a whole young chicken stuffed with sweet rice slowly simmered in a broth of Korean ginseng, jujube fruits, garlic, and ginger. It takes about 20 minutes to cook and it is a hot dish. So why on earth do you eat this hot-soup dish in summer, or rather during the hottest days of the year? In Korea, Samgye–tang is usually consumed at the hottest days of summer. It’s especially popular to eat this chicken soup on Sam-bok (삼복 三伏) days, which are three distinct days of the lunar calendar: Cho-bok (초복/初伏, July 13 this year), Joong-bok (중복/中伏, July 23 this year) and Mal-bok (말복/末伏, August 12 this year). 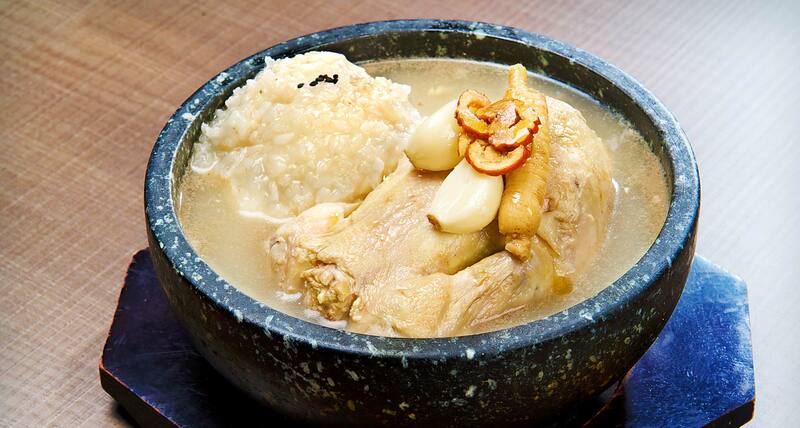 Back in time, Korean people believed that enjoying this fantastic chicken soup in this period is good for your health. And they were right! They realized people sweat a lot to cool down the body during the summer. However by losing this internal heat, your appetite reduces and you feel more tired. By eating this extremely nutritious but hot dish, it replenishes the lost internal warmth in the body and gives people an energy boost. There is a famous Korean saying: “You fight against heat with heat (이열치열 以熱治熱).” Make sense and sounds healthy! So, this summer, visit SURA Korean BBQ Restaurant Richmond and enjoy the most authentic version of Samgye–tang prepared by using only the freshest & the finest ingredients available! Stay healthy and happy all summer long with Samgye–tang, folks!